The Portuguese football legend caused a stir in the Russian press with many outlets trying to guess why a regular KHL game between Avangard and SKA attracted Mourinho's attention. He inspected the room full of skates for the players before watching the side get put through their paces on the ice before the evening's games. 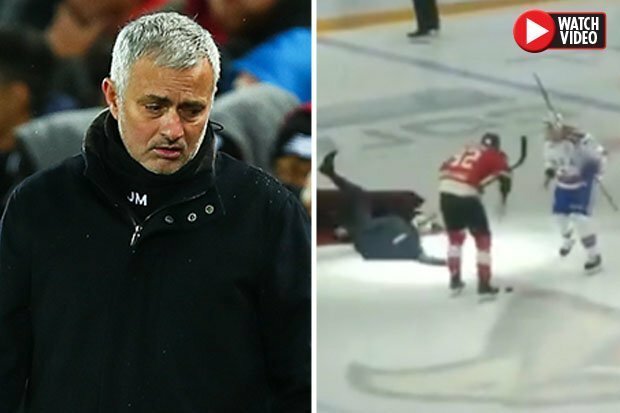 Videos of the 56-year-old Portuguese manager falling on a red carpet on the ice rink in Balashikha went viral on social media after the accident. United have not lost since Mourinho's dismissal, with caretaker manager Ole Gunnar Solskjaer overseeing nine wins and draw once over that 10-game span. He went on an eight games winning run before drawing at Burnley.